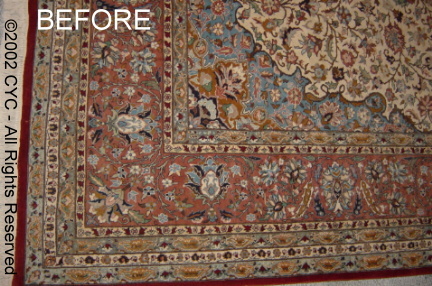 Even in very intricate patterns and designs, we can restore the original beauty and color to your treasured area rugs. Fiber-by-fiber if necessary! 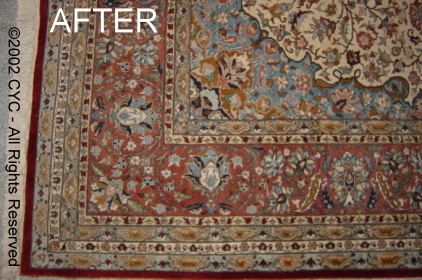 In the photo below, an owner of the Discovery Channel, shows her favorite area rug after it was restored by Color Your Carpet® . 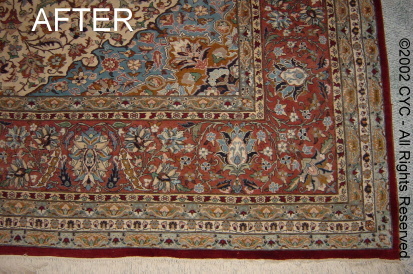 In this case, the customer wanted the original color restored to the corners which had faded from sunlight.